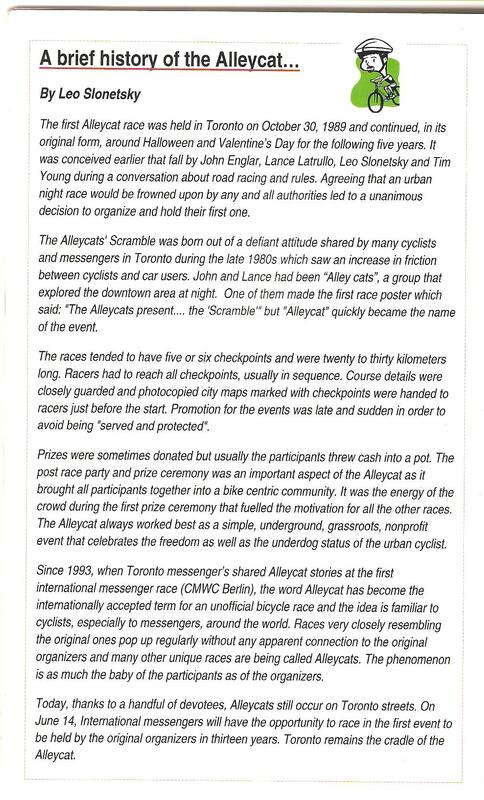 The photo above is an article by one of the originators of Alley Cat races, Leo Slonetsky that appeared in Navid’s Guidebook for CMWC 2008. Leo notes that the Alley Cat name comes from the group of Toronto cyclists that explored the city at night. Johnny “Jet Fuel” Englar and Lance Latrullo were members of this group.